"It doesn't matter how hard the subject is, make it danceable," Angélique Kidjo says. At the end of the 1970s, the Talking Heads had emerged as one of the most exciting American bands in years. But by then, they were looking to go in a radical new direction, which they found more than 5,000 miles away in Nigeria through the music of Afrobeat pioneer Fela Kuti. 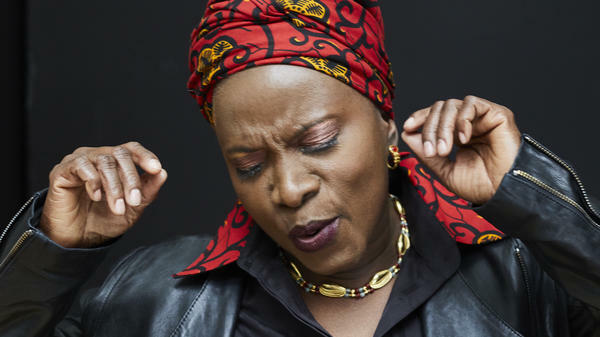 When Kidjo first heard "Once in a Lifetime," she knew it was African music. She would eventually channel this inkling into a desire to open up her culture through music. 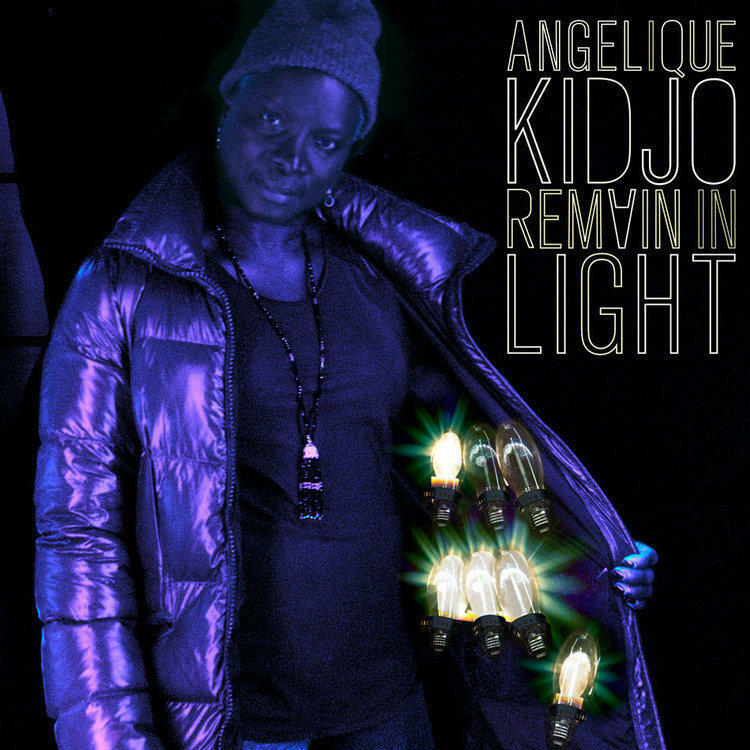 Kidjo's album Remain in Light, Kidjo strips away the '80s sheen of new wave and re-imagines Talking Heads songs as if they were conceived in West Africa. Click on the audio link to hear the full interview with NPR's David Greene. I discovered the album [Remain in Light] when I arrived in Paris in 1983. In the middle of the '70s, we had a communist dictatorship that took place in Benin, and suddenly the radio we used to listen to Fela [Kuti], listen to The Beatles, listen to all kinds of music, becomes a place of darkness. And when I arrived in Paris, I was determined to catch up with the music I didn't have. I became a music junkie. I went to a party with some friends of mine and somebody started playing the song of the Talking Heads called "Once in a Lifetime" and everybody was standing and dancing weird, and me, I was grooving. And I told them, "This is African music," and they go, "Hell no, this is rock and roll. You Africans are not sophisticated enough to do this kind of music." After having so many racist comments — about how not human being you were, that we ride on the back of elephants to go buy groceries, all that kind of stupid stuff in the '80s — I was very shocked and taken aback because I grew up in a household where I have access to books, education, music. It really fed my inspiration to open my world and the world to their music you don't know. I always say, when you are inspired by a music, and you acknowledge that source of inspiration, it is cultural expansion. But when you deliberately take somebody's music and put your name on it, it's not even cultural appropriation, it's stealing — period. Cultural appropriation doesn't exist. The Talking Heads, when they released this album, in the press release they acknowledge the fact they were listening to Fela when they did this album. They were reading the book [African Rhythms and African Sensibility] of [John Miller] Chernoff, and they tell people, "You want to understand our album? Listen to Fela and read the book." That's what the traditional musicians of my country have taught me. It doesn't matter how hard the subject is, make it danceable. Bring people to the table to have a discussion. Open doors that are closed. If you have the gift of song, if you're an artist, whatever arts you touch up on, empower yourself to be able to empower other people. TALKING HEADS: (Singing) Psycho killer, qu'est-ce que c'est. As the 1970s drew to a close, Talking Heads had emerged as one of the most exciting American bands in years. By then, though, the band was looking to go in a radical new direction. That direction was more than 5,000 miles away in Nigeria. FELA KUTI: (Singing in foreign language). MARTIN: That's the music of Fela Kuti. His sound came to be known around the world as Afrobeat. And its rhythmic complexity inspired Talking Heads to produce their landmark 1980 album "Remain In Light." TALKING HEADS: (Singing) The feeling returns whenever we close our eyes. MARTIN: Meanwhile, a young woman originally from Benin, just west of Nigeria, heard that record. She recognized the familiar refrains of Afrobeat. Her name was Angelique Kidjo. She later became popular all over the world for her own music. And now she has chosen to record her version of "Remain In Light," stripping away the new wave and performing as if it really had been conceived in West Africa. ANGELIQUE KIDJO: (Singing) The feeling returns whenever we close our eyes. MARTIN: Angelique Kidjo spoke with David Greene about how she first came to hear this music. KIDJO: When I discovered this album when I arrive in Paris in 1983 - because in the middle of the '70s, we have the communist dictatorship that took place in Benin. And suddenly, the radio that we used to listen to and listen to Fela, listen to The Beatles, listen to all kind of music becomes a place of darkness. It's - every morning, you wake up, you hear, ready for the revolution. The fight continues. You eat that up from morning till the evening. It goes back in circle. And when I arrive in Paris, actually, I was determined to catch up with the music that I didn't have. DAVID GREENE, BYLINE: That you had missed. KIDJO: Absolutely. I became a music junkie. And I went to a party with some friends of mine. And somebody was - start playing the song of the Talking Heads called "Once In A Lifetime." TALKING HEADS: (Singing) Letting the days go by, let the water hold me down. Letting the days go by, water flowing underground. KIDJO: And everybody was standing and dancing weird. And me, I was grooving in it. And I told them, this is African music. And they're going, hell, no. This is rock 'n' roll. KIDJO: You African are not sophisticated enough to do this kind of music. I say, all right. GREENE: What? They were telling you, no, you're not hearing what you think you're hearing? KIDJO: Yeah, yeah. But it's OK. But I'm, like, OK. You don't know. But, I mean, at that point, already having had so many racist comment about how not human being we were, that we ride on the back of elephant to go buy my grocery - all those kind of stupid stuff in the '80s. And I was very shocked and taken aback because I grew up in a household where I have access to books, education, music. It really feed my inspiration to open my world and the world to them and say, you don't know. KIDJO: (Singing) Letting the days go by, let the water hold me down. Letting the days go by, water flowing underground. Into the blue again after the money's gone. Once in a lifetime, water flowing underground. And you may ask yourself, how do I work this? GREENE: So talk me through what inspired you to record your own versions of these songs. 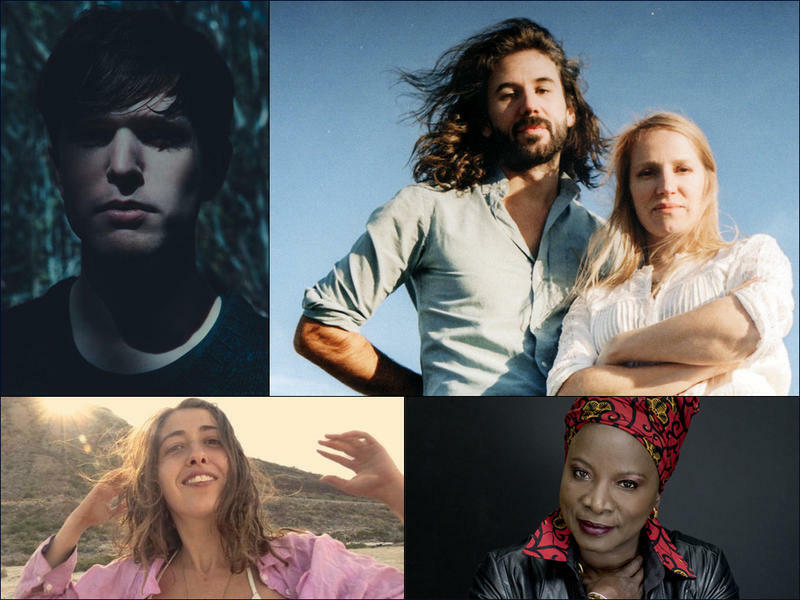 KIDJO: It's very weird for me to be able to explain to you how it started because every song for me have a response in my head of the folk song from my country. And every song has a meaning differently to me - like, take "Born Under Punches." KIDJO: (Singing) Take a look at these hands. Take a look at these hands. The hand speaks, the hand of a government man. What comes to my mind when I heard that song is the fact that corruption in this world is a crime against humanity. And for me, those words that people were telling me - why do you want to do that? The words of the Talking Heads are absurd - is it doesn't feel that way to me when I listen. There's a sense of anxiety if you listen to it. There's a sense of being uncomfortable because it's touching up on so many things that we live in on a daily basis where we don't question and where we don't react openly. So for me, "Born Under Punches" was exactly that. KIDJO: (Singing) All I want is to breathe. Won't you breathe with me? GREENE: All of this makes me want to ask you about a conversation in the United States that's been happening about cultural appropriation. I mean, the idea of people in a majority culture misusing or financially benefiting from the culture of a minority. And I wonder if that ever came to mind when you were listening to Talking Heads and listening to, you know, this big band bringing in African influences. KIDJO: I always say when you are inspired by a music and you acknowledge that source of inspiration, it is cultural expansion. But when you deliberately take somebody's music and put your name on it, it's not even cultural appropriation. It's stealing, period. Cultural appropriation doesn't exist because, for me, if we all start talking about cultural appropriation, we can't do nothing. We won't move forward anymore. Because I have role models have - that have inspired me. The music I do is not exactly their music. But do we call it cultural appropriation when it inspire me to write the music the way I write my music? The Talking Heads, when they released this album, in the press release, they acknowledge the fact that they were listening to Fela when they did this album. And they tell people, you want to understand our album, listen to Fela. And at that time, people would find it very pretentious. GREENE: ...Deeper meaning here? And often musicians won't really want to go there. They just want to let their lyrics kind of stand for themselves. But you're taking these songs that a lot of people have been trying to interpret from Talking Heads, and in such a deep way you're telling us what they meant to you and your family and your country. KIDJO: Yep. That's what traditional musician of my country have taught me. It doesn't matter how hard the subject is. Make it danceable. Bring people to the table to have a discussion. Open doors that are closed. If you have the gift of song, if you are an artist, whatever arts you touch up on, empower yourself to be able to empower other people. GREENE: Angelique Kidjo, this has been a great time. I really enjoyed talking to you, and best of luck with this album. KIDJO: Thank you so much. GREENE: That was Angelique Kidjo. Her new album is a song-by-song rerecording of the classic Talking Heads album "Remain In Light." KIDJO: (Singing) Sometimes the world has a load of questions. Seems like the world knows nothing at all. The world is near, but it's out of reach. Transcript provided by NPR, Copyright NPR. 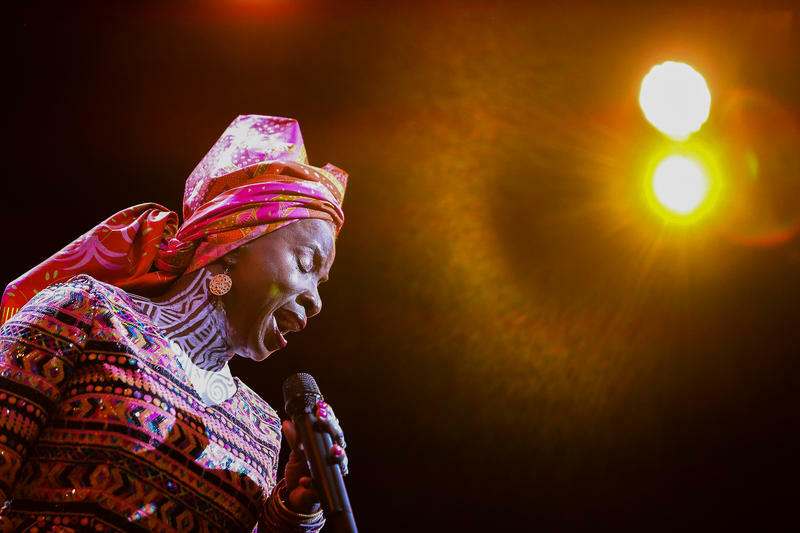 When three-time Grammy-winning singer Angelique Kidjo was a 12-year-old schoolgirl in her native Benin, her best friend suddenly disappeared from school. Kidjo went to her friend's house and asked her father what had happened. The reason shocked Kidjo: Her friend Awaawou had become a child bride, and that meant that her friend's education — and her girlhood — were at an end.